Smile Again With Renewed Confidence! After losing many (or most) of your teeth, whether due to injury, decay, or genetics, it’s challenging to do even simple tasks. Something you’ve done your entire life, like talking or eating, can suddenly become very difficult. As a result, your confidence levels may decline, and you may become more self-conscious about your smile, which means you end up smiling less. What’s the solution to this dilemma? For many people, the answer lies with dental dentures. 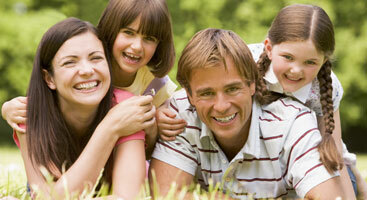 This is a very doable option that can help many dental patients regain what’s been lost. 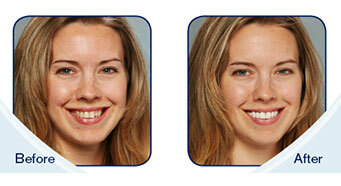 Conventional – These are fitted and placed after the remaining teeth are extracted and your jaw is completely healed. The entire process can take months, at the conclusion of which you’ll enjoy a great fit with your new dentures. 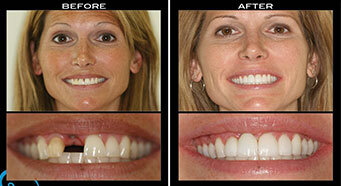 Immediate – These temporary dentures are fitted immediately after teeth are extracted. This lets you have dentures right away. Once your jaw has healed, your dentures will need to be re-fitted. Over (Partial) – When some of your teeth can be saved, partial dentures are made to replace your missing teeth. Your natural teeth are used as anchors for your partial dentures. Complete – This is a full set of dentures, which replaces all of your teeth. At our dental office in Albertville, MN, we have a licensed prosthodontist on our staff, which means we can perform the dental denture-related procedures you need in one place. Our dental clinic offers you a professional, friendly staff, a comfortable environment, and state-of-the-art technology for a tremendous dental care experience! We understand that getting dentures is a big step, and we’re here to make that process go smoothly for you. Give our Albertville, MN dental office a call today to schedule your appointment!